Stem cell treatments for autism seek to address the pathogenic mechanisms of autism, which makes the approach unique among the various treatments for autistic disorders. They can change into specialized cells. Somatic stem cells are present in adult tissue, blood and organs. Cord blood stem cells are present in the placenta and umbilical cord. Embryonic stem cells are present in fetal tissue. Induced pluripotent stem cells are adult cells that are reprogrammed to have the properties of embryonic stem cells. 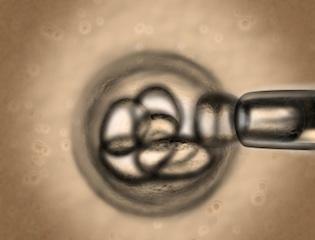 Research on stem cell treatments for autism is ongoing. Many therapies for pervasive developmental disorders address problems with the immune system, mitochondrial dysfunction and poor oxygen circulation to the brain. Treatments such as hyperbaric oxygen therapy and gluten free diets have varying results. Using stem cells is an approach that may address the source of the dysfunction in each system. The Journal of Translational Medicine's article Stem Cell Therapy for Autism looks at two problems associated with autism that may be treated with stem cells, hypoperfusion and immune deregulation. The article proposes using CD34+ umbilical cord cells and mesenchymal cells. Hypoperfusion (reduction of blood flow) can lead to hypoxia (concentration of oxygen falls below life sustaining levels) in the brain, which can lead to cell death and abnormal brain function. In theory, stem cell therapy may reverse hypoxia while activating the brain's "self repair mechanisms." The connection between immune function and nervous system is strong. Stem cells may repair the immune system, which in theory would lead to improved neurological functioning. The stem cells require prompting from chemical signals to turn into specialized cells. Figuring out how to stimulate the chemical signals the stem cells to change into brain cells that are lost or damaged in neurological conditions. Research is ongoing but the use of stem cells to treat autistic disorders appears to be very promising. Many clinical trials are necessary to determine whether the treatments work. The research may lead to a better understanding of the pathophysiology of autism.